The decision of Wayfair v. South Dakota seems to have opened the door for states to collect sales tax on internet purchases. But is it really that simple? On June 21, 2018, a Wall Street Journal news alert flashed up on my phone: “Supreme Court Rules States Can Collect Sales Tax on Web Purchases.” This alert was the decision of Wayfair v. South Dakota, a case that was brought to court in 2016. My initial reaction was one of dull exasperation: great, more taxes– and on e-commerce at that. Stock prices for Amazon and other online retailers dipped, reflecting pessimism about how consumers would respond to these changes. The WSJ headline, though unintentionally so, was severely misleading, something I only realized after researching the case pretty intensively. It implies– falsely– that web purchases weren’t taxed before Wayfair. In reality, the Wayfair case drew a crucial line in settling hopelessly complex conflicts over various sales tax regimes in the U.S. The central point of contention in Wayfair and the nationwide sales tax battle is the determination of nexus. Nexus is the relationship between a business and a state which constitutes the business’s responsibility to collect and remit the state’s sales tax. Before Wayfair, businesses had nexus in a state if and only if they had a physical presence in the state. However, South Dakota made laws, called economic nexus laws, saying that out-of-state online retailers had nexus in South Dakota if they met certain conditions. For example, businesses only have nexus in South Dakota if they make $100,000 or 200 distinct sales to South Dakotan consumers in a year. The state also provides a compliance software to help businesses collect and remit the appropriate taxes; businesses who use the software are immune from accounting errors. South Dakota’s victory in the Wayfair case confirmed their ability to enforce their pre-existing laws. If you, like me, are generally not enthusiastic about taxes, then South Dakota probably sounds like the bad guy in this scenario. However, further research brings us back to a longstanding axiom of state fiscal policy: New York and Massachusetts were already doing something much worse. In 2008, New York began enforcing a system of “click-through nexus laws,” which I’ll illustrate with the following example. A consumer visits NYReferrals.com (located in New York). They follow a referral link to buy something from NYReferrals.com’s affiliate, MEGoods.com (located in Maine). New York’s laws say that the New York website is a physical object which gives MEGoods.com nexus in New York; MEGoods has to collect and remit New York’s sales tax (Avalara 2016). The “cookie nexus” system pioneered in Massachusetts is arguably even worse. Say a consumer in Massachusetts buys something from MEGoods.com, and the website leaves “cookies,” cached files, or other software on the consumer’s computer. Massachusetts considers those virtual entities physical items, meaning they can assign nexus to MEGoods.com (Blocker 2017). A handful of other states have used click-through and cookie nexus laws for several years now. These laws use absurd definitions of physical presence to abuse the legal precedent overturned by Wayfair. The Supreme Court had this aspect in mind when they deemed the physical presence rule unsound. Because this case involves state fiscal policy, there are a lot of moving parts, but there are some pathways to simplification. There is a coalition of 22 states in the Streamlined Sales and Use Tax Agreement (SSUTA). These states have worked together since 1999 to make their own economic nexus laws, which are similar to the ones in South Dakota. Some of these states automatically gained the ability to enforce those laws following the Wayfair decision; other states can do so as soon as they pass enabling legislation. States such as New York and Massachusetts will hopefully abandon their subversive tax laws in favor of more transparent economic nexus regimes. Other states without any remote seller laws on the books have a clear guideline for which ones to make now that they can. 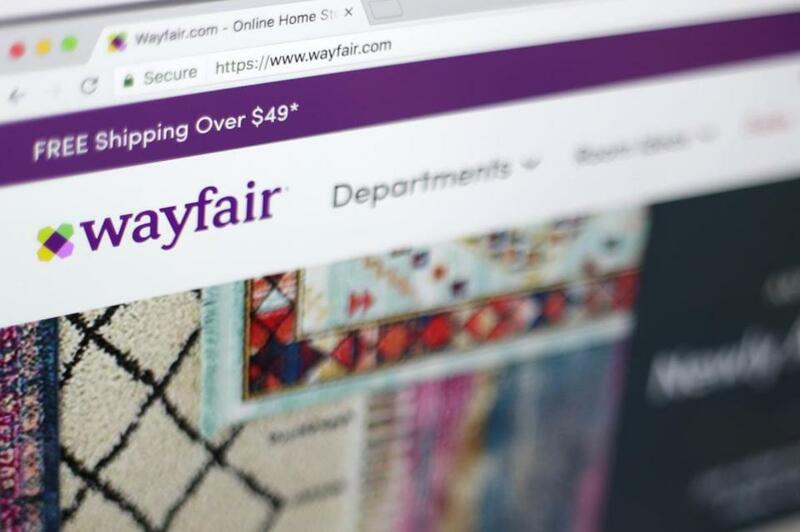 The 5 states without any sales taxes don’t have to do anything, though some of them aren’t thrilled with the way that Wayfair may affect in-state businesses. For instance, New Hampshire Governor Chris Sununu has stated that he will pursue legislative action to prevent other states from forcing New Hampshire’s businesses to collect sales taxes. Congress may also act on this issue; a week after the Wayfair decision, senators introduced an act to prevent states from forcing out-of-state businesses to collect and remit sales tax. This act also gives a specific definition of physical presence which cannot be subverted by click-through and cookie nexus laws. The Wayfair decision’s aftermath should make us more cautious about how we instinctively process information. As someone who is passionate about fiscal policy and economics in general, even I fell for the Wall Street Journal’s misleading headline at first. Unfortunately, most consumers did too. It’s very concerning that Amazon’s stock price fell as a result of Wayfair. Amazon has been collecting and remitting state sales taxes for years, largely because it has physical presence (warehouses, etc.) in virtually every state. Wayfair levels the playing field for small and medium-sized retailers who didn’t previously have nexus in other states. By all means, Amazon’s stock price should have gone up following the decision. Unfortunately, investors were tricked into believing simplistic mischaracterizations of the Wayfair case– or at the very least, they predicted that consumers would be tricked this way. Personally, the Wayfair decision leaves me cautiously optimistic. No matter what happens, it’s likely that abusive physical presence claims from tax-happy states will no longer obscure the tax code. Economic nexus laws are a solid step toward transparency, and they won’t ruin online shopping as you may have been led to believe.